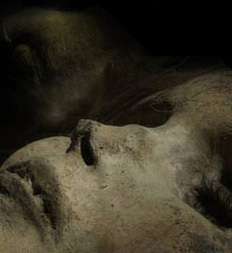 Strikingly well-preserved mummies, tall in stature and fair in complexion, have lain in the parched Tarim Basin of western China for 3,800 years. Wearing Western-influenced textiles and possessing surprising technologies and customs, the identity of these extraordinary people is a mystery! This historic exhibition of 150 objects drawn from the Xinjiang Uygur Autonomous Region Museum and the Xinjiang Institute of Archaeology in Urumqi, China reveals surprising details about the people who lived along the ancient Silk Road. For the first time ever, three of the more than 100 Caucasian mummies found and preserved in the western China’s inhospitable desert sands are being presented in the United States. An impressive array of objects are included in the exhibition to represent the full extent of the Silk Road, where lavish goods, technologies and ideas between East and West were adopted and exchanged. Read about the exhibition in USA Today, the Los Angeles Times, and Archaeology Magazine. This exhibition organized by the Bowers Museum, Santa Ana, California in association with the Archaeological Institute of Xinjiang and the Urumqi Museum. Secrets of the Silk Road is generously supported by Accenture, the Harriet and Truett Latimer Endowment Fund and Weatherford International Ltd.